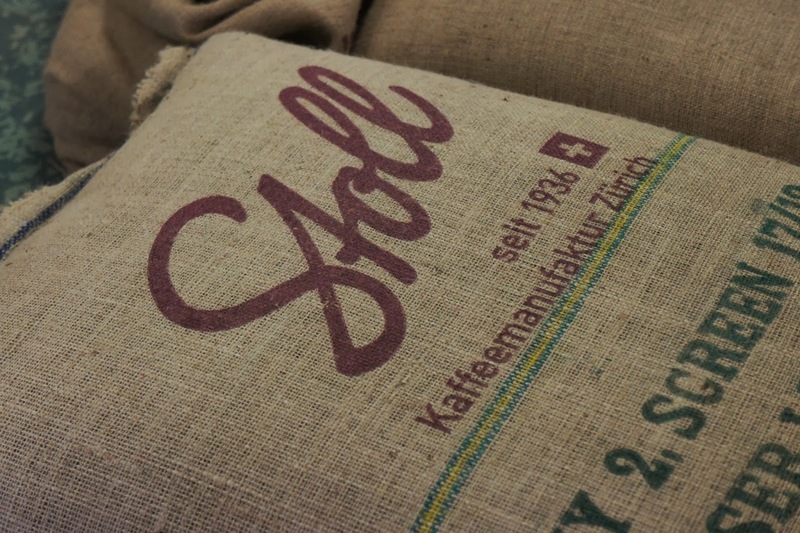 Today I had the pleasure to visit the roastery of Stoll Kaffee in Zurich and to chat (and drink coffee of course!) with the Swiss Barista Champion of 2013 Shem Leupin…what can I say…it was simply amazing. So keep on reading! Shem is originally Swiss, but lives a substantial amount of time in Australia, where his relationship with coffee begins. Around eight years ago he gets acquainted with the art of coffee making, while working as a bartender in Australia. He gets hooked up immediately, but he’s not allowed to make coffee, because there are these specially hired people for that called “baristi”. 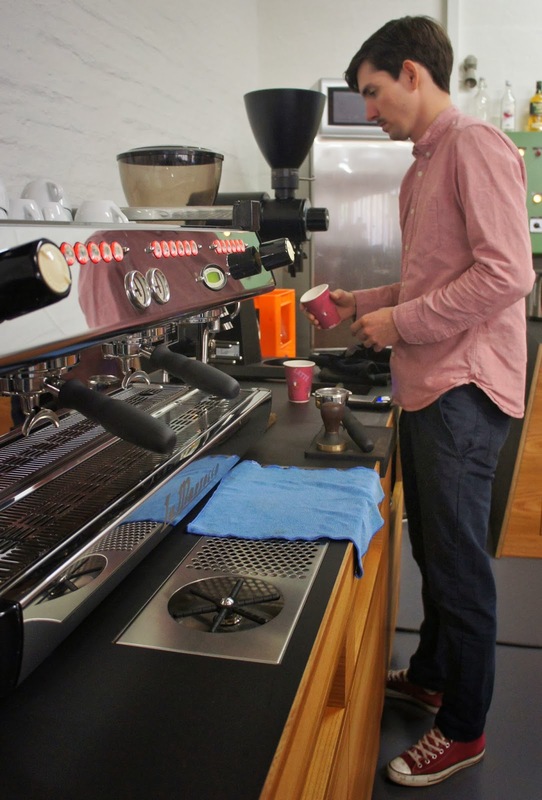 It took him six months of practice before being able to serve coffee to customers. Then he moves back to Switzerland along with his coffee passion, knowledge and experience. 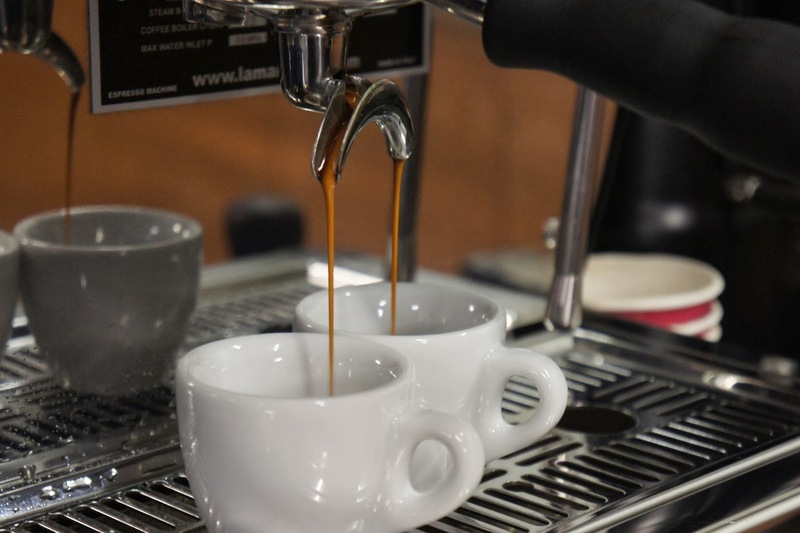 After some experiences in different cafés he finds a place where he is given the freedom to experiment with all the different dimensions of the espresso shot and that wonderful place was namely Sportbar in Zurich. 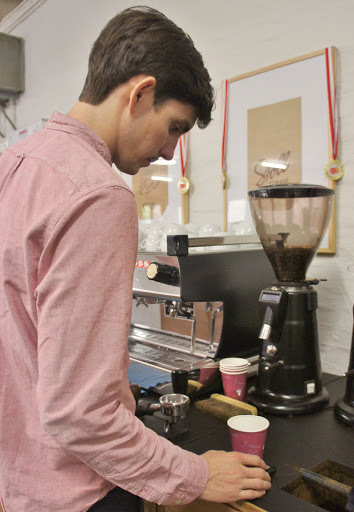 Now from more than a year he’s working at Stoll Kaffee where he’s not only a barista, but he’s also responsible for the quality and development management – a workplace that’s giving him even more opportunities for experimenting with coffee, contributing to the coffee culture in Switzerland. 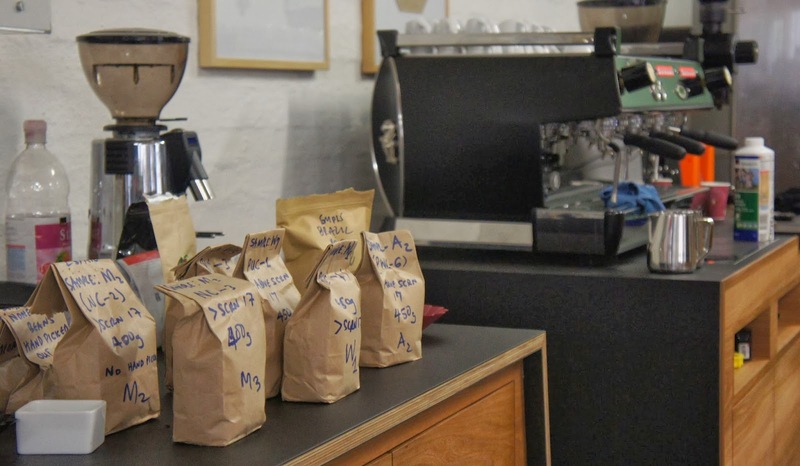 Now Stoll Kaffee has even a specialty coffee line (which I started to fancy quite a lot) – coffee beans selected and roasted almost only by Shem on a very small roaster, since the demand for such coffees is not that big. And did I say he’s a Swiss Barista Champion? Ah, yes I did…but he’s a very easy guy to talk to! At first I didn’t know what to expect (actually, I was prepared to conduct a formal interview), but then he gave me a tour of the place, which is not that big – the coffee roaster itself is not that big either (I think the capacity was 70kg) and they are in the process of modernizing it, since it’s quite old. Then he started pulling espressos…the way he was tasting and discerning all the aromas and flavors in the cup…fascinating. I want to learn to do that one day! For the moment his efforts are all concentrated in the area of specialty coffee – hopefully it goes well in the future! We were also talking about the upcoming Swiss Barista Championships in the beginning of February. This time he’s not competing, but coaching. He’s helping Daniel Sanchez, who is going to enter the competition for the first time. I’m sure he’ll do great and who knows, he might get a medal! And while we’re talking about coaching, if you want to take a barista course I highly recommend the ones offered at Stoll, you already know why.